Rose wood frame with Red Upholstery Chair. Also available in two different color. 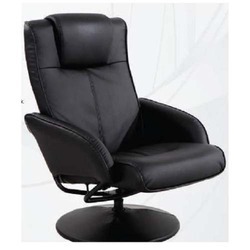 - PVC upholstered chair with PU foam in seat , arms and back. With the help of our expert team members, we have been able to provide an eye-catching range of Upholstered Nesting Chair. LACQUER FINISH SYNTHETIC RESIN MEDIUM BACK WITH ARMS WITH SEAT USD BACK CUSHION. 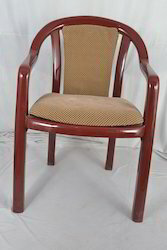 - Rose Wood Frame With Brown Cushion In Seat And Back. Description:Posh. Lacquer Finished, Without Arm Chair with Upholstered Seat And Back.